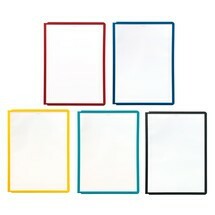 The SHERPA® display panel system with 10 display panels in DIN A4 format is suitable for wall mounting. 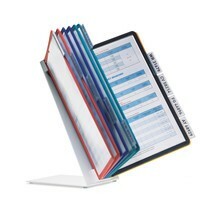 If necessary, several panel carriers can be connected together. This panel display panel system with 10 display panels can be quickly and easily mounted on interior walls or the perforated walls of sales displays. This means that information for visitors and employees is directly visible. 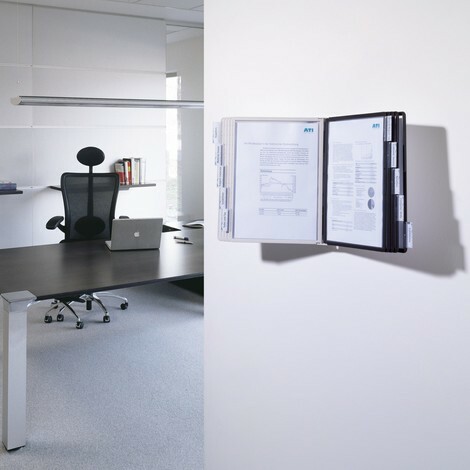 The SHERPA® display panel wall brackets are made of robust, glass-fibre reinforced polyamide. 10 display panels are attached to the bracket. 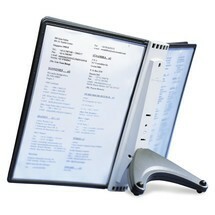 Low-reflection polypropylene inserts are bound in the surrounding profile frame. 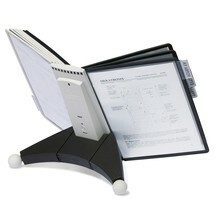 They are document-proof and scanner-compatible. 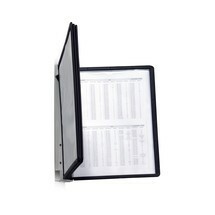 The set you receive from us includes wall bracket, 10 display panels with profile frames and 10 plastic tabs with blank insertion markers. 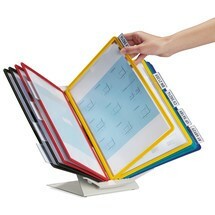 Order the SHERPA® display panel system as well as wall bracket from our shop.